When it comes to the north-eastern part of India, we are always amazed about the beauty of the place. But, there is something even more to be crazy about the place. We are blessed that India has an integral part in the north-eastern section which truly defines the unique culture and tradition. This is a part of India, which is still embracing a lot in it. Whether it is the people of the place, the culture or the food, everything about the region is fascination and somewhat a secret too. Even though it is an integral part of India, but only a few of us are aware about the place. Well, it is something to learn and explore. When it comes to the food of the place, then definitely they are blessed with different taste buds. Their food sense is different than the other parts of the country and this is what makes it enough. Coming to the street food of north-east then it is also no less than a mystery for the people. In this blog, I am going to highlight the gems of street food in the seven sisters. Do you know what Seven Sisters is? Well, the seven states of north-eastern part of India which are alike are termed as the seven sisters. Namely they are Assam, Manipur, Nagaland, Mizoram, Meghalaya, Tripura and Arunachal. It is a culture that everyone should learn and explore. Even though the seven sisters are very much a part of India, our knowledge of them is dismal, to say the least. We hardly know anything about the culture, politics, or history of the region. 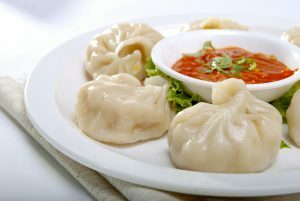 And about food, our knowledge is strictly limited to Momos and Thukpa. 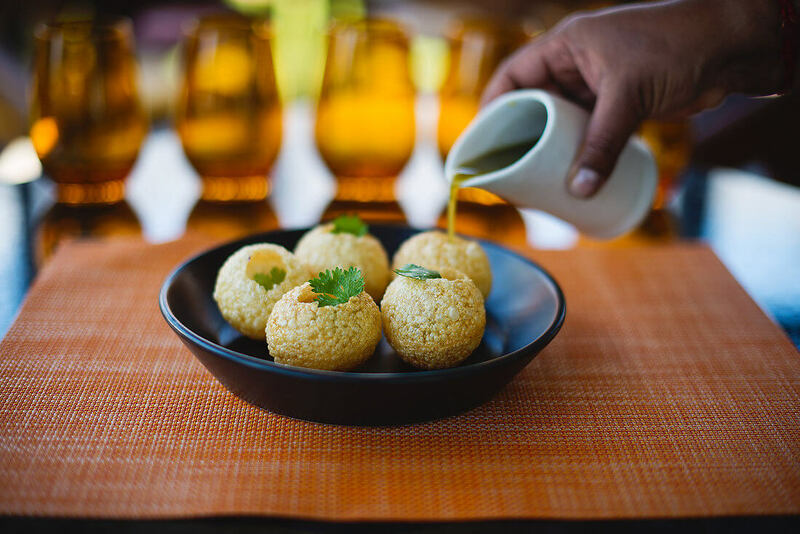 But the North-Eastern part of India has a plethora of lip-smacking food items to boast of. In this blog, I am trying to highlight my favourite street foods from every region of north-east. The names mentioned here could be limited but believe me there is much more than this to explore. Take a look. 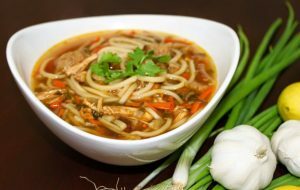 It is a delicious noodle soup made with rice noodles. Rice, like many other parts of India, is a staple in Assam. 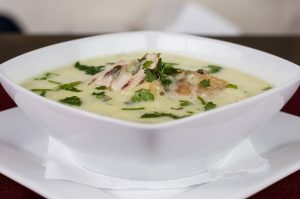 This soup’s tempting taste comes from Coconut Milk, Tamarind paste, flavoured fish paste, and spices. Unlike most of the street foods, this one is actually quite healthy and filling, and truly lip-smacking. And, you know the best part of the food. It is available at highly-reasonable rate in almost every state of Assam. 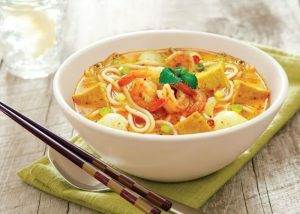 So, next time when you would be there don’t forget to taste Laksa. Manipur is incomplete without Kelli Chana. It is a street food which holds the complete identity of Manipuri culture and tradition. If you go to the literal meaning of Kelli Chana then it means spicy peas. If stories are to be believed, the dish got its name from a woman named Kelli who used to sell spicy chickpeas under a tree. 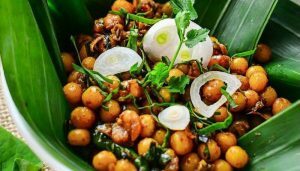 The crispy chickpeas are mixed with various herbs to give it a tangy, spicy flavour. Traditionally the cuisine is served on a lotus leaf, which gives it a unique and authentic flavour. If you are looking for most-flavourful street food of India then Chikhvi tops the list. 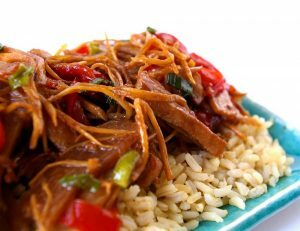 Made with stir-fried Bamboo shoots and Pork pieces, this dish is a delight to your taste-buds. Spiced with turmeric, ginger paste, rice flour paste, some raw papayas, and green chillies, Chikhvi is a must try cuisine. It is a kind of rice porridge served with fresh coriander paste, crushed black pepper, tangy fish sauce, and finely powdered rice. To add a bit more taste, it is topped with pan sizzled spring onions. It is simple yet absolutely delightful to taste. It can be found in every street of Mizoram at best price. If you are in Meghalaya then don’t forget to taste Kappa amidst the rain of the state. It is made using chicken entrails and spiced with garden fresh herbs and spices. This hot broth is a delicious comfort food! 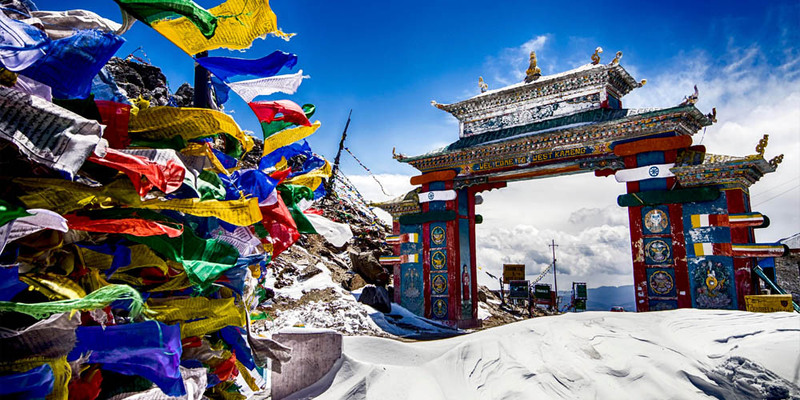 Sikkim: Shapale We all know the influence of Tibet in Sikkim and the same can be found in the street food culture of the city. Whether it is Mo:Mo or Shapale, most of the favourite street foods of the state are gift of Tibet. 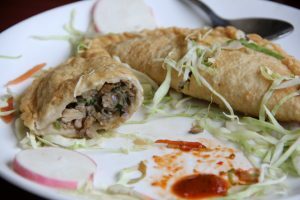 The Tibetan origin Shapale is essentially a meat pie, which is similar to a large deep fried momo or a samosa. 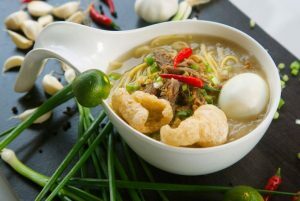 It has a crunchy exterior filled with a gooey interior (meat), and is eaten with the red hot chili sauce and rutang soup(a soup made from bony meats). Nagaland: Kinals And, the last in my list is Kinals. 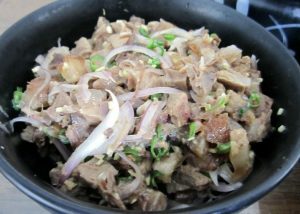 This very special food is the heart and soul of street foods in Nagaland. This beautiful state has though many mysteries in it, but the street foods of the city are definitely the best one to explore. It is a noodle dish made from the head of the pig and is accompanied with a brown sauce topping. This dish uses the famousBhut Jolokia, which is one of the hottest chilies in the world. Next time when you would be in Nagaland make sure you give a try to Kinals. I have tried my best to inculcate the best from my side regarding the street foods of North East. Alike the cultures of the states the food is also something which has to be streets. India is well known in the world for the street foods and the contribution of north east cannot be excluded in the same in any case. When you visit theses states, don’t forget to taste these spicy and mouth-watering street foods there. If you want to do something even great then you can give global identity to these tempting foods by opening your street food business. For this you need to take street food franchise from a reputed brand and then you can explore the area in the best manner. I wish you have liked my blog. Do write to me if you have tasted any of these street foods from the 7 sisters.